Brigade Week 2016 is now well underway and in full swing. 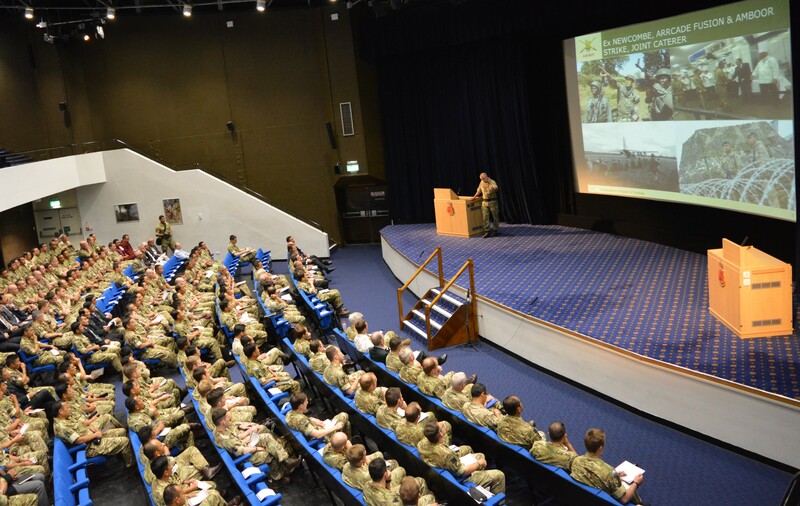 On Wednesday 06 July, a huge number of Brigade personnel and guests attended a series of interesting and informative briefings. In the evening everyone gathered for a cocktail party and to watch the Band of the Brigade of Gurkhas’ Sounding Retreat outside Old College at the Royal Military Academy Sandhurst (RMAS). 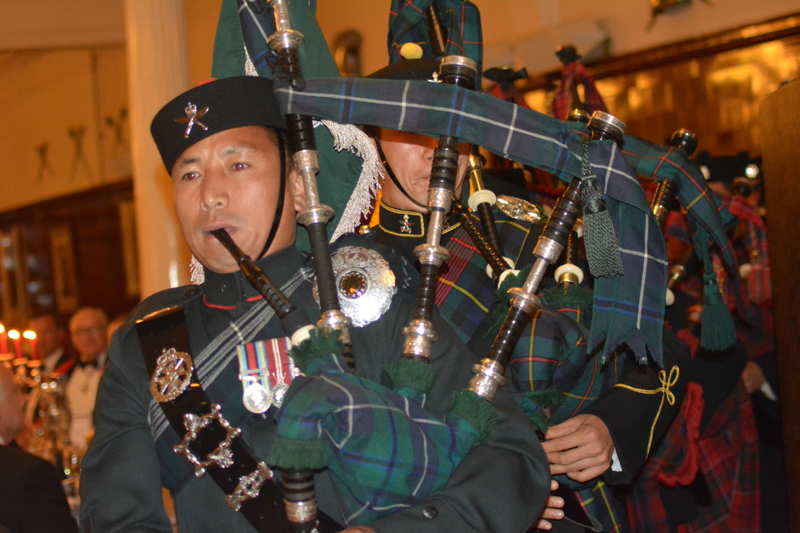 Afterwards, everyone moved inside Old College for a fantastic dinner night with further performances from the Band of the Brigade of Gurkhas and an excellent speech from General Sir Peter Wall GCB CBE DL, Colonel Commandant of the Brigade of Gurkhas. 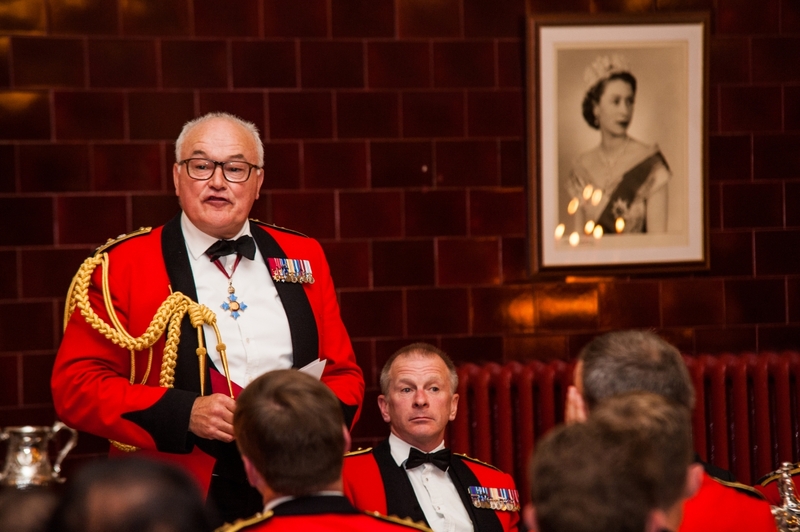 The lectures at RMAS’ Churchill Hall started with Colonel Brigade of Gurkhas, Colonel James Robinson, giving an overview of another successful year for the Brigade of Gurkhas. Col James gave praise to the wide array of awards that serving personnel from across all units of the Brigade had received over the last 12 months and provided a look ahead to events for the coming year. 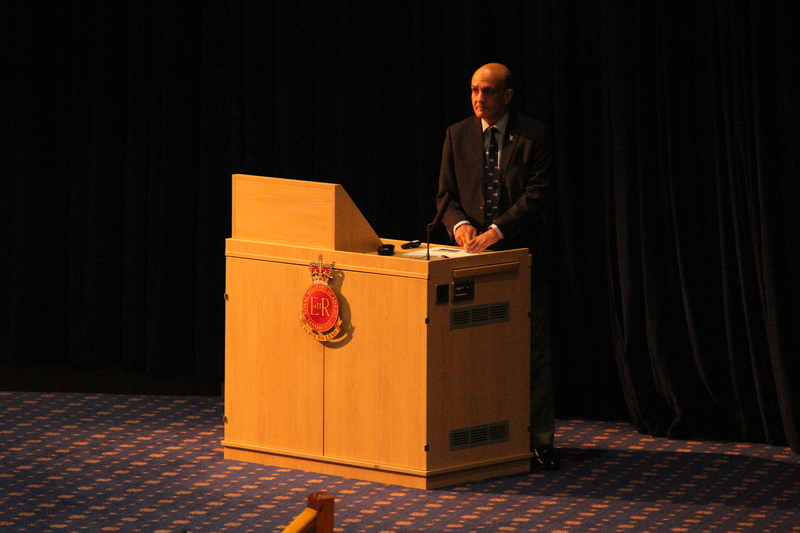 HQ Brigade of Gurkhas were very fortunate to have Professor Sir Hew Strachan FRSE FRHistS, who took time out of his busy schedule to come to RMAS and delivered a fascinating and informative brief about the brave actions of The Indian Army and the Gurkhas during World War I. Colonel Ian Logan, Commander British Gurkhas Nepal, gave everyone an update on the work done in Nepal since last year’s dreadful earthquake, and outlined what further reconstruction works are planned for the future. Mr Al Howard, Director of the Gurkha Welfare Trust showed the huge scale of work to be completed by the Trust to help rebuild homes and develop new schools across Nepal over the coming years. Major Mike James 1RGR delivered an excellent brief highlighting the impressive work being done by Gurkhas from the 1st Battalion helping to train Malian forces as part of Op NEWCOMBE. Major Andrew Todd MBE informed the wider Brigade about the Gurkha Everest Expedition planned for 2017 and Major Rob Oakes RE brought the Brigade up to speed with the ongoing reconstruction work being done by the Queen’s Gurkha Engineers in Nepal as part of Op MARMAT. The Brigade also received an update on Adventurous Training from Colonel Nick Richardson and an important overview of Army Restructuring from Colonel Niall Stokoe OBE. The Brigade was hugely honoured to welcome Maj General Himalaya Thapa, Director General of Military Operations in the Nepal Army. General Thapa showed us the hugely impressive response and work rate of the Nepalese Army when dealing with the aftermath of the Nepal Earthquake last year and this received worthy recognising and praise from across a humbled audience. In the evening, the chief guest was Mr Mark Lancaster TD MP, Parliamentary Under Secretary of State for Defence Personnel and Veterans. Mr Lancaster. Mr Lancaster received the salute from the Band of the Brigade of Gurkhas, granting them permission to perform the Sounding Retreat. 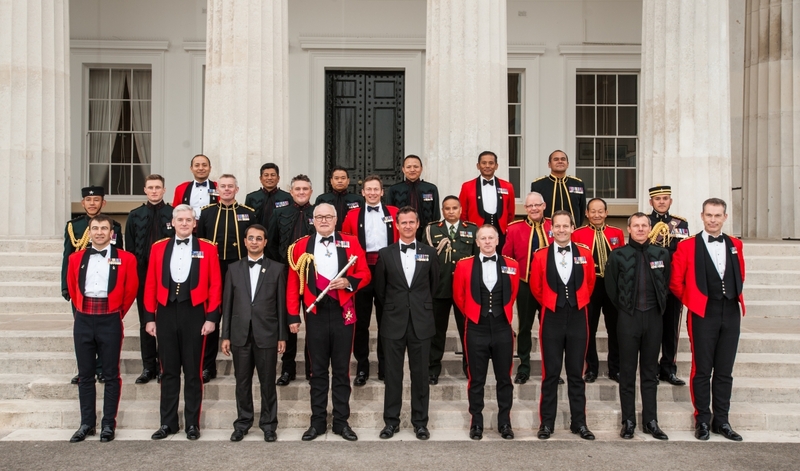 Amongst a great spectrum of guests and representation from across the Four Pillars of the Brigade, were Lt General Nick Pope CBE, Lt General Richard Nugee CBE, Mr Sharad Raj Aran Chargé d’Affaires of the Nepalese Embassy, Mr Nigel Banks Prime Warden of the Fishmongers’ Company, Mr Angus Macpherson Prime Warden of the Dyers’ Company, and Maj General Himalaya Thapa. Everyone entered Old College dining hall where a traditional Gurkha curry was on the menu. The Band of the Brigade of Gurkhas played all the Regimental Marches and added some new flavours to their display with music adding to the night from a xylophone and a garden watering can! Colonel Commandant of the Brigade of Gurkhas praised the achievements of the Brigade over the last year and advised everyone that we must maintain our professionalism and brilliance in the basics. He urged us that we must remain a figure of calm, whilst the political situation around us goes through its current turbulent period. It was a truly excellent evening and everyone enjoyed socialising and catching up with each other. Brigade week continues with a series of meetings and culminates this Saturday 9th July with the Brigade of Gurkhas Bhela at Queen’s Avenue in Aldershot. It promises to be a superb day which begins at 0930hrs with action from the Kathmandu Cup. 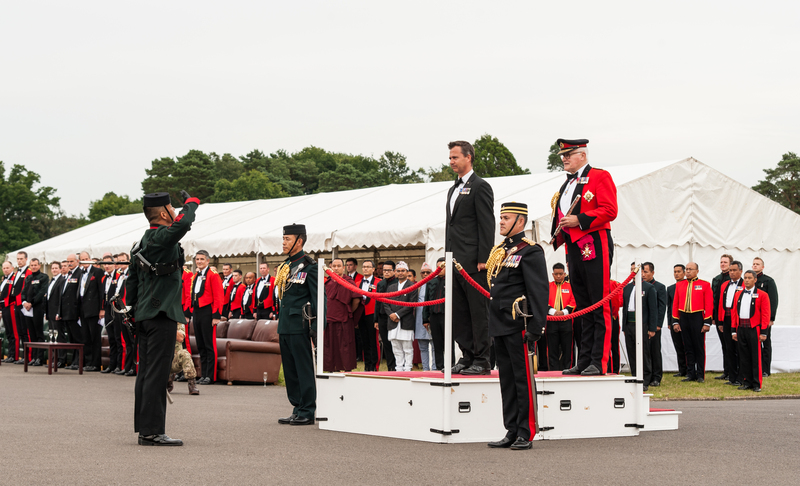 During the day there will be a wide range of activities including a Parachute display, archery stands, food stalls, laser quest, cultural shows, a display from the Band of the Brigade of Gurkhas and the Nepal Cup Final will kick-off at 1400hrs. Entry is free with Brigade Bhela 2016 badges being issued to the first 2,000 veterans to arrive. You are all incredibly welcome and are warmly encouraged to come along with family and friends. Photo Credit and thanks to: LCpl Vishal Gurung, LCpl Bibek Limbu and LCpl Subarna Gurung.